182 students competed in Cornell's annual High School Programming Contest, held simultaneously at Cornell Tech and in Rhodes Hall on the Ithaca campus. At Cornell Tech, twice as many girls competed as last year. Competitors came from schools in New York City and central New York and as far away as Pennsburg, Pennsylvania and Southborough, Massachusetts. Carla Gomes was one of three professors highlighted in the Cornell Daily Sun's International Women's Day feature looking at influential female leaders in STEM. Using data on 77 North American migratory bird species from the eBird citizen-science program, scientists at the Cornell Lab of Ornithology say that, in as little as four decades, it may be very difficult to predict how climate change will affect migratory bird populations and the ecosystems they inhabit. Their conclusions are presented in a paper published in the journal Ecography. In the article, "Learning from the Big Picture," Philip Ball highlights the Computational Sustainability Network (CompSusNet), "an initiative sponsored by the US National Science Foundation and involving 13 US academic institutions as well as international partners, which aims to nurture this emerging field." He notes that "the project is led by researchers at Cornell University, headed by computer scientist Carla Gomes, director of Cornell's Institute of Computational Sustainability." The Rockefeller Foundation today marked the public launch of Atlas AI, a social enterprise established by the Foundation and a team of Stanford University professors including Stefano Ermon, to develop data products to support global development. Atlas AI works at the intersection of development economics, crop science, remote sensing, and artificial intelligence to generate detailed insights on poverty, crop yield and economic trends across Sub-Saharan Africa. Di Chen and Carla Gomes developed a deep learning model that effectively corrects for location biases in citizen science by comparing the population densities of various locations. Gomes and Chen tested their model on data from the Cornell Lab of Ornithology's eBird, which collects more than 100 million bird sightings submitted annually by birdwatchers worldwide. Carla Gomes has experimented with techniques for handling decisions with uncertainty in her work. In one project, she's been developing an automated system to evaluate the impact of new hydroelectric dam projects in the Amazon River basin. The dams provide a source of clean energy. But they also profoundly alter sections of river and disrupt wildlife ecosystems. Under future climate scenarios, changing winds may make it harder for North American birds to migrate south in the autumn but easier for them to come north in the spring. Researchers from the Cornell Lab of Ornithology came to this conclusion using data from 143 weather radar stations to estimate the altitude, density and direction birds took during spring and autumn migrations over several years. A new series of dynamic bird maps from the Cornell Lab of Ornithology reveals unprecedented details not only about where the birds are, but how their numbers and habitats change through the seasons and years. The maps and the data behind them will aid land managers and scientists, helping to identify conservation needs and priorities. One major CompSustNet research strand is the discovery of new materials for energy generation and storage (fuel cells, batteries, solar and so on) from high-throughput X-ray diffraction experiments. That goal requires an ability to solve the phase-mapping inverse problem in crystallography, and then to correlate observed structures with functional properties. Both are tasks well suited to machine learning. The prize-winning paper "Analytics and Bikes: Riding Tandem with Motivate to Improve Mobility", which provided unique application of analytics and O.R. to improve the placement of bike docking stations and create an inventive approach to replenish and rebalance these docking stations, was presented by Daniel Freund, Shane G. Henderson, and David B. Shmoys and Eoin O'Mahony. A group of Cornell researchers led by Chris Barrett has received a $1 million grant from the U.S. Agency for International Development to use machine learning to rapidly analyze agricultural and food market conditions, aiming to better predict poverty and undernutrition in some of the world's poorest regions. The method will use open-source, freely available satellite data to measure solar-induced chlorophyll fluorescence (SIF) - photons emitted from plants during the process of photosynthesis, detected by satellite, which can monitor agricultural productivity. It will also consider land-surface temperature, which provides information about crop stress under water deficit or excessive heat, as well as food-price data. Co-principal investigators Drew Harvell and Carla Gomes, to develop a software application called Eelisa. After artificial intelligence training sessions, Eelisa will sort through thousands of seagrass blade images in minutes to expertly quantify lesions. Cornell research has improved bike sharing in New York and other cities, providing tools to ensure bikes are available when and where they're needed through a crowdsourcing system that uses real-time information to make decisions. Citi Bike redistributes its bicycles around New York City using a program called Bike Angels, based on research by David Shmoys. A new Cornell-led study shows that trace metals, deposited by aerosols like dust and other particles in the atmosphere, have a hefty impact on marine biota, affecting biological productivity and changing the ocean ecosystem. An interdisciplinary undergraduate team working with Prof. Ross Knepper is building an autonomous airship (or blimp). Once automated, Knepper plans to use the airship to support scientific and conservation missions. A study conducted by MIT's Senseable City Laboratory - with important input from Steven Strogatz - offers a network-based solution to the classic "minimum fleet problem:" Given a collection of trips - specified by origin, destination and start time - what is the minimum number of vehicles needed to serve all the trips, without incurring any delay to the passengers? 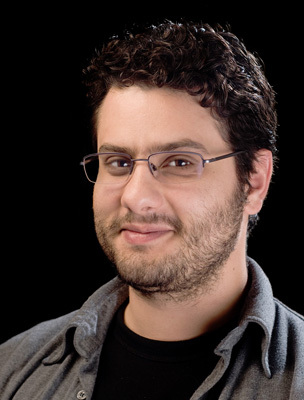 Stefano Ermon has been awarded the 2018 IJCAI Computer and Thought Award, which is the highest award given to a junior AI researcher. Stefano is an assistant professor of computer science and a fellow of the Woods Institute for the Environment at Stanford University, and was previously a Ph.D. student in ICS. He is recognized for his foundational work on probabilistic reasoning, machine learning, and decision making, with a range of novel applications in areas with broad societal impact. Using weather surveillance radar and citizen-science data, researchers are learning how migratory birds return to their breeding grounds in North America each spring with near-pinpoint accuracy. 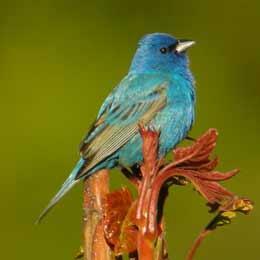 Scientists from the Canadian government, Carleton University, the University of British Columbia, and the Cornell Lab of Ornithology combine eBird data from more than 100 songbird species that migrate from Central or South America to Canada and the U.S. to accurately predict where species are each week of the year. For the first time, the Annual Cornell University High School Programming Contest teamed up with Cornell Tech to host simultaneous events on each campus April 6. The contest, the brain child of CIS research professor Robbert van Renesse, aims to encourage high school students interested in computer science and programming. 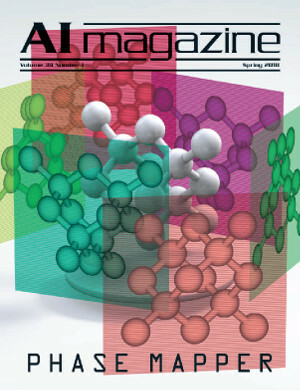 The Phase-Mapper project, a collaboration between ICS and the Joint Center for Artificial Photosynthesis (JCAP) at Caltech, was featured as the cover article in the Spring 2018 issue of AI Magazine. Bart Selman was quoted in this CNN article about a pedestrian struck and killed by a self-driving Uber. Kevin O'Keeffe, along with Hyunsuk Hong of Chonbuk National University in South Korea, and Steven Strogatz, developed a simple mathematical model for simultaneous spatially-coordinated and synchronous behavior. They designed their "swarmalator" model to be as simple as possible in order to understand general principles before applying it to more realistic physical or biological systems. Steven Strogatz and Bertrand Ottino-Loffler, interested in the dynamics of how sick cells take over networks of healthy ones and working with Jacob Sctott at the Cleveland Clinic, proposed an explanation for the observed distribution of incubation periods based on evolutionary dynamics on graphs. National Geographic's maps were made in part using migration data and models from the eBird project, Cornell Lab of Ornithology. This spring, six undergraduate students will toss away wool socks, surrender winter coats and flee the Northeast's slushy roads to gauge ocean health along the Hawaiian and Washington state coasts. ACM has named 54 members, including Carla Gomes, ACM Fellows for major contributions in areas including database theory, design automation, information retrieval, multimedia computing and network security. Prof. Gomes was selected "for establishing the field of computational sustainability, and for foundational contributions to artificial intelligence." Carla P. Gomes, Computer Science, and John M. Gregoire (California Institute of Technology) are working toward leveraging recent advances in high-throughput materials science and computer science to create a catalyst discovery platform with broad implications for the development of functional materials. This research is part of a large, multi-university, collaborative effort funded by the Toyota Research Institute to find better fuel cell catalysts. 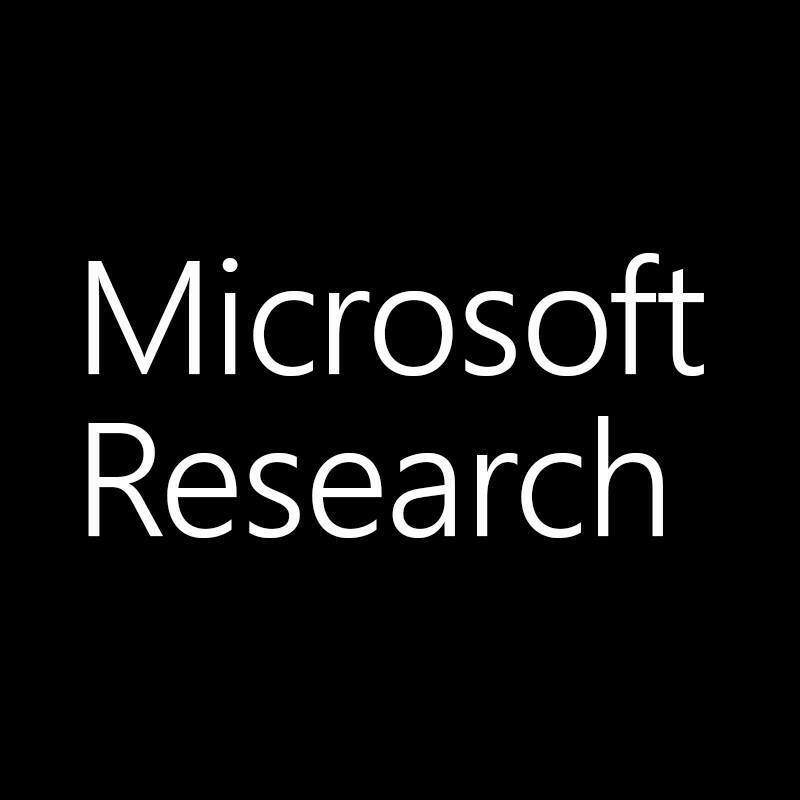 Bart Selman spoke at the Microsoft Research India Workshop on AI and Social Good in Bangalore, and a video of the talk is available. Ag-Analytics, a cloud-based application created by Prof. Josh Woodard that provides digital agriculture analytics, has integrated its technology with the John Deere Operations Center, the manufacturer's online platform. This allows farmers to securely use their high-resolution agriculture data in real time to extract more useful operations information. eBird data is enabling new cost-effective approaches to complementing protected areas with 'pop-up' wetlands, using big data and new market mechanisms to create habitat when and where birds need it most. This work has just been published in Science Advances, "Dynamic conservation for migratory species." 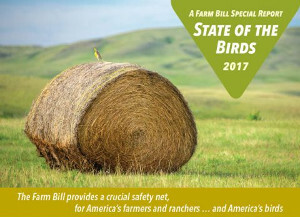 The State of the Birds 2017: Farm Bill Special Report, released by the North American Bird Conservation Initiative (NABCI), documents the many benefits the Farm Bill—America's single largest source of conservation funding for private lands—has delivered to birds, farmers, and rural communities. 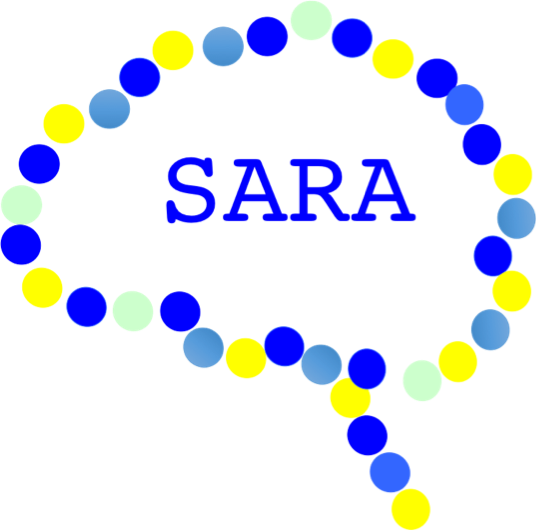 Van Dover and Gomes' group is working on a project titled "Scientific Autonomous Reasoning Agent (SARA): Integrating Materials Theory, Experiment and Computation." Their goal is to develop a multi-agent system that accelerates the science of materials discovery and development by integrating quantum physics principles, experimental materials synthesis, processing, characterization and AI-based algorithms. (Video) Carla Gomes, Tanya Berger-Wolf, and Milind Tambe were speakers in the AI for Earth session, chaired by Lucas Joppa, at the Microsoft Research Faculty Summit 2017: The Edge of AI. While chatting at their sons' baseball games, Professors Flecker and Gomes talked about working together someday to address challenging questions in ecology and sustainability. They've been collaborating on a project to optimize the location of dams in the Amazon River basin. The the placement of dams impacts ecosystems and presents complex computational problems. With the ability of the computer scientists to analyze huge amounts of data, more global observations may be used to solve problems. Expert ecologists and computer scientists can together solve large scale problems like these. Last year computer science professors Joseph Halpern and Bart Selman became co-principal investigators on a project to ensure that robots and artificial intelligences (AIs) will act in ways beneficial to humans. In spring, 2017, a Cornell course and lecture series open to the public featured various speakers and topics. Professor Selman began the series by talking about, "The Future of AI: Benefits vs. Risks". Professor Halpern wrapped up the series with a talk entitled, "Moral Responsibility, Blameworthiness, and Intention: In Search of Formal Definitions". ICS was a sponsor of EYH, a one-day conference for 7th–9th grade girls, that was held on April 15. The goals of the conference are to stimulate the participants' interest in math and science through these hands-on activities, to provide them with female scientist role models, and to foster awareness of opportunities in math and science-related careers. Professor Amanda Rodewald, Director of Conservation Science at the Lab of Ornithology is collaborating with Juan Nicolás Hernandez-Aguilera, a doctoral candidate in Applied Economics and Management, and Colombian coffee farmers to find ways to conserve biodiversity in Colombia yet provide a robust coffee economy for farmers and their communities. By studying economics, agronomy, and biodiversity they conclude that shade grown coffee is better habitat for birds, requires fewer pesticide applications, and produces high quality beans, which could command a premium price. This complex project brings different fields of study to bear on the same problem and pulls data from 255 coffee farms. Cornell Professor Steven Strogatz teaches math to non-majors by communicating joy, creating a safe place to take chances, and connecting students to the meaning that is important for them. Math journals re-engage students who have turned away from math. "So many of the things that we do in math education - and maybe more generally in education - are giving students answers to questions that they would never think of asking. By definition, that's what it is to be boring." Associate Professor Angela K. Fuller has been elected as a The Wildlife Society Fellow in recognition of her exceptional service to the wildlife profession. The Cornell team headed by Carla Gomes, with Yexiang Xue, Junwen Bai, Ronan LeBras, Brendan Rappazzo, Richard Bernstein, John Bjorck, Liane Longpre, Santosh Suram, Robert B. van Dover, and John Gregoire was awarded the IAAI-17 Deployed Application Award for 'Phase-Mapper: An AI Platform to Accelerate High Throughput Materials Discovery'. The researchers present 'Phase-Mapper, a novel solution platform that allows humans to interact with both the data and products of AI algorithms, including the incorporation of human feedback to constrain or initialize solutions'. In 2017, the Best AAAI CompSust Paper was awarded to Xiaojian Wu, Akshat Kumar, Daniel Sheldon, and Shlomo Zilberstein for 'Robust Optimization for Tree-Structured Stochastic Network Design'. Bistra Dilkina and Sabine Storandt were chairs of the special CompSust track, and Alan Mackworth, Zico Kolter and Amy McGovern formed the Best Paper Committee. During 2017 Xiaojian Wu was at University of Amherst with Professor Dan Sheldon and moved to Cornell as a Postdoc with Professor Carla Gomes. Strogatz, Tachet, Sagarra, Resta, Szell, and Ratti, in 'Scaling Law of Urban Riding', develop a scaling law with a simple model to predict ride sharing potential in any city. Cities thrive on efficient mobility. Private vehicles and taxis cause much of the road congestion already hampering quality of life in cities worldwide. 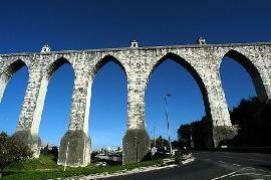 The researchers developed a universal shareability curve for four different cities. "Using data on millions of taxi trips in New York City, San Francisco, Singapore, and Vienna, we compute the shareability curves for each city, and find that a natural rescaling collapses them onto a single, universal curve." Will computers develop human values and ethics alongside their other super-human capabilities? Professor Bart Selman led off the lecture series "The Emergence of Intelligent Machines: Challenges and Opportunities," by posing some of the ethical quandaries intelligent machines will require us to consider. As computers replace workers, society must consider sustainable support for humans who have lost employment. In this Cornell class ethical challenges were posed by experts in artificial intelligence inlectures open to the university community and general public, and recorded for Cornellcast. As reported in Science, Cornell Professor C. Drew Harvell and Joleah Lamb, Nature Conservancy NatureNet fellow at the Atkinson Center studied Indonesian shoreline and found that the chance of encountering dozens of different bacterial pathogens harmful to both human and marine life was cut in half near seagrass meadows in Indonesia. Coral disease is less prevalent where there are seagrass meadows, and the meadows are the most widespread coastal ecosystem on the planet. Steven Strogatz was among seven faculty members recognized for excellent teaching of undergraduate students at Cornell. Recognized as the ACS Editors' Choice and featured as the cover article in the January issue of ACS Combinatorial Science, JCAP's high-throughput team has partnered with computer scientists from Cornell University including Yexiang Xue, Junwen Bai, Ronan LeBras, Brendan Rappazzo, Richard Bernstein, Johan Bjorck, R. Bruce van Dover and Carla Gomes, to develop a new method for rapid construction of phase diagrams using data from JCAP's collaboration with Stanford Synchrotron Radiation Lightsource Laboratory. Eoin O'Mahony (CS PhD '15) received the INFORMS George B. Dantzig Dissertation Award at the 2017 INFORMS conference, the Institute for Operations Research and the Management Sciences, for writing the most innovative and practical dissertation in operations research and management sciences. O'Mahony's thesis, "Smarter tools for (Citi)Bike Sharing," was advised by Professor David Shmoys, and combines theory and practice in real field experiences. Amanda Rodewald, Garvin Professor of Natural Resources and Director of Conservation Science at the Cornell Lab of Ornithology explains why conservation must consider the needs of both birds and people and how shade-grown coffee can conserve birds and other biodiversity, support farmers and local communities, protect ecosystem services, and produce a great cup of coffee. Conservation is not limited to protecting pristine habitat. Consumer choices in North America affect the livelihood of farmers, survival of migrating birds, and habitat protection in South America. 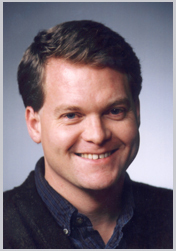 Christopher B. Barrett has been elected a fellow of the American Association for the Advancement of Science (AAAS), "My research, teaching and outreach explore why unnecessary injustice continues to disfigure the richest, most technologically advanced societies in history and what individuals and institutions can do to improve matters... The first concern (is) improving our understanding of the drivers of poverty and food insecurity, and how private and public policy can facilitate desirable structural transformation in low-income societies. The second considers issues of individual and market behavior under risk and uncertainty and how those can cause or prolong unnecessary human suffering. The third revolves around the interrelationship between poverty, food insecurity and environmental stress. These topics necessarily cross disciplinary lines." Ross Knepper embarks on a project to make robots "persistently autonomous," so they can deal with unexpected problems, supported by the U.S. Air Force Office of Scientific Research. As an early test Knepper will collaborate with Carla Gomes to deploy autonomous drones to monitor the condition of vegetation in Kenya. If the drones are driven off course by weather or are restricted by national borders or no-fly zones, they must be able to recognize that there's a problem and revise their course to return to the original target area and complete the mission. If the different needs of multiple species like bears, wolverines, and lynx can be accommodated in wildlife corridors, land trusts can purchase better land for less money. In a paper in Conservation Biology, "Trade-offs and efficiencies in optimal budget-constrained multispecies corridor networks," Bistra Dilkina, Carla Gomes, OSU, and USGS collaborators propose computer-designed solutions. Gomes explains, "Now that we can get synthesis rather than just optimize for one species, it's economically more efficient." New efficient optimization solutions might use a reasoned approach to skip unacceptable outcomes. 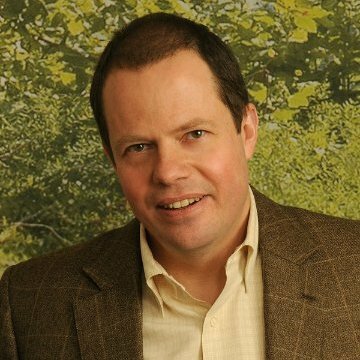 Chris Barrett is an author on the October 14, 2016 Science paper "Positive biodiversity-productivity relationship predominant in global forests". 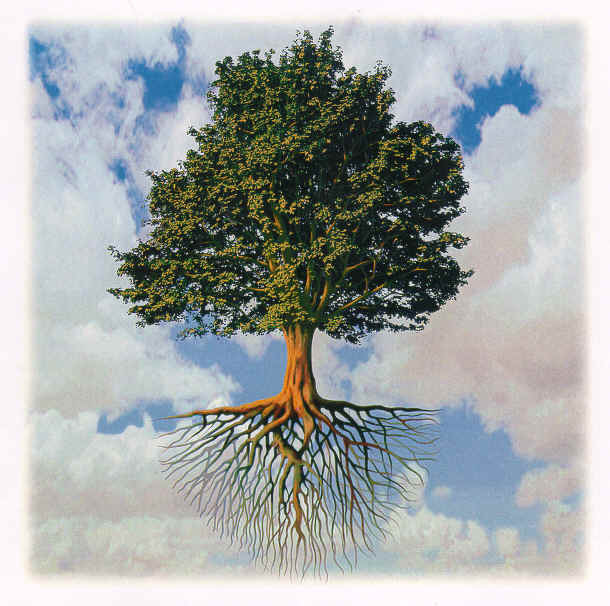 BPR is a useful measure of the health of ecosystems. "Forests are the most important global repositories of terrestrial biodiversity, but deforestation, forest degradation, climate change, and other factors are threatening approximately one half of tree species worldwide." Findings show that continued biodiversity loss would accelerate decline in forest productivity worldwide. These results highlight the necessity to reassess biodiversity valuation and the potential benefits of integrating and promoting biological conservation. Using GPS generated data, Cornell's Chris Barrett and Andrew Mude studied mobility patterns of cattle and herders in Ethiopia across different seasons. Different mobility strategies to cope with drought and stress were observed. 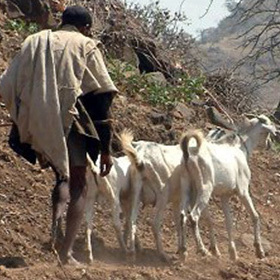 Social and ecological changes like population growth and drought create pressures that traditional methods of herding may not be able to compensate for. Land use should be planned to detract from herd mobility as little as possible. Reciprocity between herders should be facilitated to promote flexibility to guide herds to available resources. Hundreds of student hackers listened as Professor Carla Gomes kicked off 36 hours of hacking for sustainability with the talk 'Computational Methods for Balancing Environmental, Economic, and Societal Needs' at the BigRed Hacks event, part of Major League Hacking. Projects included Life Alert for Turtles, envisioning a safer environment and better tracking of the reptiles, Fridge Buddy to reduce food waste, and a phone game named Recycle Rampage. Andrea Turkalo and Peter Wrege's paper in Journal of Applied Ecology notes the decline in Forest Elephant populations caused by habitat loss and illegal killing. 23 years of demography data from Dzanga in Central African Republic show the low reproductive potential of the species. Forest Elephants appear to be more sensitive to human-induced mortality than Savanna Elephants. It is imperative that the Convention on International Trade in Endangered Species (CITES) not overestimate the growth rate of populations of Forest Elephants. In this video Steven Strogatz, Cornell Professor of Applied Mathematics, talks about math, where hidden patterns are revealed, abstraction reveals connections, commonality, and patterns, order comes out of disorder, and how math is a fantastic expression of human creativity. Steven Strogatz is an applied mathematician who works in the areas of nonlinear dynamics and complex systems, often on topics inspired by the curiosities of everyday life. Faculty members Harold van Es, Carla Gomes and Joshua Woodard will present their research at the intersection of computation, food and computational sustainability, a new field pioneered at Cornell, at the World Economic Forum (WEF) June 26-28 in Tianjin, China. The Computational Sustainability movement comes home as Cornell hosts CompSust-2016, the fourth International Conference on Computational Sustainability, July 6-8. This marks the official launch of CompSustNet, a worldwide organization bringing together computer, environmental, materials and social scientists, as well as biologists and physicists to expand the field of computational sustainability. The first International Conference on Computational Sustainability was held at Cornell in 2009. Subsequent conferences were held at the Massachusetts Institute of Technology in 2010 and the University of Copenhagen in 2012. This report is the first-ever scientific conservation assessment of all 1,154 bird species in North America, and it was only possible because of the tremendous scale and big-data capabilities of citizen-science. Tens of thousands of Canadians, Americans, and Mexicans-from the Atlantic to the Pacific oceans, and the tundra to the Yucatan-contributed data that was analyzed by scientists from all three countries. A few takeaways: The Yucatan Peninsula is one of North America's most vital bird habitat regions. The East and West coasts are bird migration highways. More than one-third (37%) of North American bird species are of high conservation concern and at risk of extinction without significant conservation action. The Atkinson Center for a Sustainable Future has funded 14 new university projects this year. "Our Academic Venture Fund (AVF) program, now in its ninth year, continues to enable faculty from across campus to form new collaborative teams offering innovative approaches to a wide range of sustainability challenges," said Graham Kerslick, the executive director of the center. The Andean Amazon is experiencing a hydropower boom, as more than 150 new dams are proposed across several countries - with more under construction. The group will evaluate the cumulative economic and environmental impacts. Researchers: Alexander Flecker, ecology and evolutionary biology; Carla Gomes, computing and information science; Patrick Reed, civil and environmental engineering; Gregory Poe, applied economics and management; Scott Steinschneider, biological and environmental engineering. Business Insider talks to Professor Steven Strogatz about game theory, elegant math, math education, and how order emerges out of chaos. "Whether those things are our system of morality or our universe or our bodies as we grow from a single cell to the people we eventually become. All this kind of unfolding of structure and organization all around us and inside of us, to me, is inspiring and baffling... you could say morality came from evolution. If natural selection leads to morality, that's pretty interesting. And that came from math!" Amanda Rodewald points out that the federal budget erodes many regulations, rules and mandates designed to protect our environment, while at the same time expanding energy development which is likely to a carry hefty environmental toll. "The reality is that environmental protection can drive innovation, and many policies implemented in the past have made us a cleaner and more prosperous country. Republicans and Democrats should work toward a budget that allows our economy and our environment to prosper." The National Science Foundation awarded a US$10 million grant to push computer scientists into research that had social benefit. One major area where machine learning can help the environment is with species conservation. "We are really using sophisticated models - algorithms from machine learning - for predicting how the birds are distributed." 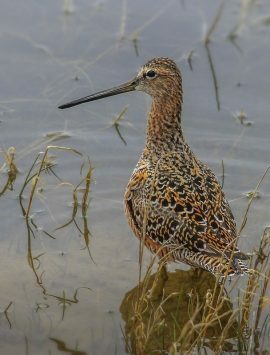 For example, Gomes says, based on information gathered through eBird and processed by the partnership, The Nature Conservancy has set up a "reverse auction" in drought-stricken parts of California, paying rice farmers to retain water in their fields when birds are likely to be migrating and in need of stopover habitat. Carla Gomes and a team of programmers, theorists, applied mathematicians, economists, biologists and environmental scientists have created a new field, computational sustainability, addressing challenges that computer scientists have not traditionally handled. Together, they tackle a range of issues from wildlife management to poverty-reduction. Gomes says, "Advances in computational sustainability will lead to novel strategies to help herders and farmers in Africa improve their way of life, save endangered species and scale renewables up to meet 21st century energy demand... Without this research, inefficiencies in terms of resource use and inaccuracies in data models will literally cost lives and reduce the richness of our natural world, potentially threatening future generations." Selman spoke in the new briefing "Smart, Autonomous Machines May Threaten Jobs" and organized and presented in the session "Emergence of Intelligent Machines: Challenges and Opportunities" (moderated by Gomes). Barrett moderated "Win-Win or Lose-Lose: Poverty, Human Health and Environmental Quality", in which Teevrat Garg was also a speaker. Gomes co-organized and spoke in the symposium "Citizen Science and Information Technology: Engaging People for a Better Planet". Cornell's Ecology of Infectious Marine Diseases Research Coordination Network (RCN) produced two studies relating increased sea temperatures with disease in marine organisms. One paper summarizes research that links rising sea temperatures to disease outbreaks. The other paper documented the outbreak of sea star wasting disease on the West Coast during 2014 during a period of warm water temperatures. In the lab sea stars succumbed to disease more quickly in warmer water. Funding for the Atkinson Center supported work to integrate studies in marine disease. What migration strategies do birds use to journey across the Western Hemisphere? "This is the first comprehensive picture of where these birds are moving across the entire year," said Frank La Sorte, an ornithologist at Cornell and one of the map creators. Each dot represents a different avian group as it flies thousands of miles to breed and feast. To create the map, the researchers used data from more than a million observations made by amateur bird watchers through eBird, a citizen science project. Avicaching combines birding with geocaching, an outdoor game guided by GPS. By incentivizing less frequented birding locales, data from observations became less biased to roadside observations. Ebird staff plan to expand incentivized locations across New York and feel confident they can then generate better less-biased data. Cornell and 11 partner universities received a $10M NSF Expeditions in Computing grant to create CompSustNet, a national and international research and education network, collaborating with key governmental and non-governmental organizations in the areas of conservation, poverty mitigation and renewable energy. The team brings together faculty from nine departments at Cornell, along with the partner institutions: Bowdoin College, California Institute of Technology, Carnegie Mellon University, Georgia Institute of Technology, Howard University, Oregon State University, Princeton University, Stanford University, University of Massachusetts-Amherst, University of Southern California, and Vanderbilt University. ICS co-PI Bart Selman and Director Carla Gomes received a grant from the Future of Life Institute to predict the rate at which artificial intelligence might reach human-level as well as super-human intelligence. They will use methods from complexity theory to analyze the possibility of the scale-up to super-human intelligence and the speed of such scale-up for different categories of cognition. The program, which initially includes 37 research teams, was funded by a $10M donation from Elon Musk. 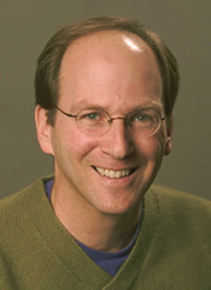 The winner of the 2015 inaugural IJCAI John McCarthy Award is ICS co-PI Bart Selman. This award is intended to recognize established mid-career researchers that have built up a major track record of research excellence in artificial intelligence. The award is named for John McCarthy (1927-2011), who is widely recognized as one of the founders of the field of artificial intelligence. Professor Selman is recognized for expanding our understanding of problem complexity and developing new algorithms for efficient inference. eBird has launched Avicaching, a competition designed to increase eBird data density in habitats that are generally under-represented by normal eBirding, even if the surrounding area is well-covered. From March 27 through May 31, eBirders will compete to maximize the number of checklists submitted and species observed at 50 locations across Tompkins and Cortland Counties. ICS members are designing a scoring system to encourage checklist submissions that are evenly distributed across the locations. A Cornell research team including ICS members is joining local efforts to help design a socio-ecological corridor that could help save endangered, threatened, endemic species in Ecuador's Andes region. The conservation program focuses on the endangered Andean bear, as it is considered an "umbrella species" with spatial requirements and habitat needs similar to other species of concern in the region. The project will also consider ways the corridor could positively impact the livelihoods of the surrounding communities. A team from the Dyson School of Applied Economics and Management and ICS have developed simple cell phone apps that pastoralists in Kenya can use to report conditions at their grazing sites. Reports tagged with GPS coordinates are fed to a computer that will learn to associate the reports with the spectral "fingerprints" in visible and infrared light of corresponding locations on the satellite images. ICS Director Carla Gomes is principal investigator for the project, which is funded by the Atkinson Center for a Sustainable Future. ICS collaborator Drew Harvell contributed an article to The Hill in support of the Marine Disease Emergency Act, a new bill recently introduced by Rep. Denny Heck (D-WA). The Act would provide emergency funding to help mount a rapid response to outbreaks such as the one that is causing starfish by the millions to shrivel, lose limbs and die. Scientists could leverage rapid funding to come up with proactive measures to protect our valuable marine fisheries and biodiversity. Bill Gates met with the ICS team as part of his tour of Bill and Melinda Gates Hall during the building's dedication event on Oct 1. Director Carla Gomes and co-PI Bart Selman presented an overview the Institute's research efforts and focus areas. ICS has partnered with the Harvell Lab at Cornell University and the Coastal Observation and Seabird Survey Team (COASST) at the University of Washington to engage citizen scientists in monitoring the spread of Sea Star Wasting Disease. Recent outbreaks of the disease have been observed along much of the Pacific coast of North America since 2013. Scientists are trying to understand whether there is a temperature threshold or some other environmental conditions associated with outbreak and non-outbreak sites. The review article titled "The eBird enterprise: An integrated approach to development and application of citizen science" is the January 2014 editor's choice in the journal Biological Conservation. eBird is a Citizen Science project of the Cornell Lab of Ornithology and National Audubon Society, which collects information about the distribution and abundance of birds. The paper describes recent advances in meeting the needs of eBird's user community, scaling up data quantity, quality and dissemination, applications, and insights. ICS Director Carla Gomes has been elected a Fellow of the American Association for the Advancement of Science (AAAS), the world's largest general scientific society and publisher of the journal Science. The citation reads, "for distinguished contributions in computer science, particularly for advances in automated reasoning, constraint reasoning and optimization, and for visionary leadership and innovation in computational sustainability." ICS Associate Director David Shmoys will present a lecture on April 24 titled "Computational Sustainability: An algorithmic lens for better decision-making." Mathematics Awareness Month is sponsored by the Joint Policy Board for Mathematics, which has selected "Mathematics of Sustainability" as the theme for 2013. The lecture will show how a simple mathematical model can be used to tackle a broad range of complex sustainability issues. ICS member Theo Damoulas and collaborators published research in Nature Climate Change regarding the "greening" of the Arctic. The research provides new models indicating that wooded areas in the Arctic could increase by as much as 50 percent over coming decades, accelerating climate warming faster than previously expected. ICS Director and Cornell principal investigator Carla Gomes stated, "The Expeditions grant has enabled us to develop sophisticated probabilistic models that can scale up to continent-wide vegetation prediction and provide associated uncertainty estimates. This is a great example of the transformative research happening within the new field of Computational Sustainability." The Winter 2013 issue of Saving Land Magazine features a cover story by ICS member Ole Amundsen and Susan Culp. The article discusses opportunities for land trusts to engage with the land use planning process and to thereby strengthen conservation. Amundsen is the Strategic Conservation Program Manager at The Conservation Fund, and Culp is the the Project Manager for Western Lands and Communications. Published by the Land Trust Alliance, Saving Land is the nation's leading magazine written by and for land conservationists. Tom Dietterich, ICS Deputy Director and Professor and Director of Intelligent Systems Research at Oregon State University, presented the Posner Lecture at the Twenty-Sixth Annual Conference on Neural Information Processing Systems (NIPS 2012), held December 3-6, 2012 in Lake Tahoe, NV. Dietterich's lecture, Challenges for Machine Learning in Computational Sustainability, discussed challenges and opportunities for machine learning research in computational sustainability, such as sensor placement, data interpretation, model fitting, computing robust optimal policies, and executing policies successfully. 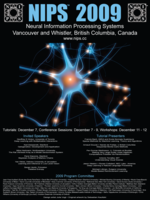 NIPS is a highly selective, interdisciplinary conference that brings together researchers in all aspects of neural and statistical information processing and computation, and their applications. SIAM Nuggets, an effort by the Society for Industrial and Applied Mathematics (SIAM) to increase public awareness of mathematics and computational science applications in the real world, is currently featuring a paper written by ICS member Abdul-Aziz Yakubue (Howard University) and co-author Avner Friedman (Ohio State University) which appears in the October issue of the SIAM Journal on Applied Mathematics. The authors used mathematical modeling to analyze the impact of disease, animal migrations and Allee effects in maintaining biodiversity. This research advances conservation studies and is applicable to a variety of species, helping scientists understand how population growth declines at low densities and how populations can reach thresholds below which they are likely to go extinct. ICS member Steven Strogatz recently released his new book, The Joy of X: A Guided Tour of Math, From One to Infinity (Houghton Mifflin Harcourt). The book explains how some of the greatest ideas of math connect to literature, philosophy, law, medicine, art, business, our daily lives, and more. The book follows his popular "Elements of Math" columns for The New York Times, and makes exploration of math accessible to the general public. The book has been featured on NPR's Science Friday broadcast and has been accompanied by talks by Steven Strogatz at a number of venues, including Harvard, Cornell, Princeton, Amherst College, Dartmouth College, Microsoft, and more. In December 2012, a workshop in Human Computation for Science and Computational Sustainability will be held at NIPS 2012, in Lake Tahoe, Nevada. The workshop will bring together researchers at the interface of machine learning, citizen science, and human computation. The workshop will identify common problems (e.g., sampling bias, noise, etc. ); propose benchmark datasets, common practices and improved methodologies for dealing with these problems; identify methods for evaluating models in the absence of ground truth; share approaches for implementing and deploying citizen science and human computation projects in scientific and sustainability domains; and foster new connections between the scientific, sustainability, and human computation research communities. 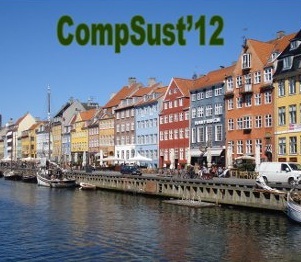 The University of Copenhagen's Biocenter in Denmark hosted the First International Master Class on Computational Sustainability on July 4, 2012, immediately followed by the Third International Conference on Computational Sustainability (CompSust'12) on July 5-6, 2012. This marked the first of the International Conferences on Computational Sustainability to be held outside of the US, and signals the growth of the computational sustainability research community beyond US borders. The master class was attended by over 40 individuals, and the conference itself by over 75 individuals from countries such as Canada, Denmark, France, Germany, Jordan, Ireland, Italy, Uganda, the United States, and beyond. ICS Director Carla Gomes chaired the conference along with Michela Milano (Università di Bologna), Barry O' Sullivan (University College Cork), and Martin Sachenbacher (Technische Universität München). ICS Director Carla Gomes and MIT's Brian Williams co-chaired the Special Track on Computational Sustainability and Artificial Intelligence (CompSustAI) at the Twenty-Sixth Conference on Artificial Intelligence (AAAI-12), held in Toronto, Ontario, Canada from July 22-26, 2012. The special track brought together AI researchers, practitioners, scientists, and engineers in related disciplines. This year's track featured nearly 25 presentations, and included Data Challenge Papers, short papers describing challenge problems and corresponding data sets that are made available to the AI community in order to enable new research collaborations. Additionally, Computational Sustainability Awards for the best papers were added through a partnership with the Computing Community Consortium. ICS member Bart Selman and Jörg Hoffmann (Saarland University, Germany) are Program Cochairs of the Twenty-Sixth Conference on Artificial Intelligence (AAAI-12), held in Toronto, Ontario, Canada from July 22-26, 2012. 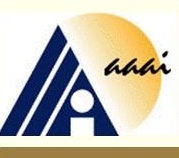 AAAI-12 promotes research in AI and scientific exchange among AI researchers, practitioners, scientists, and engineers in related disciplines. It is the annual North American artificial intelligence conference, attracting over 1,100 AI researchers and practitioners, representing government, university and corporate research facilities from throughout the world. On June 7, 2012, ICS Director Carla Gomes presented a keynote talk regarding computational sustainability at the Third International Green Computing Conference (IGCC'12). IGCC'12 provides a forum for presenting and discussing innovative research on a broad range of topics in the fields of sustainable and energy-efficient computing, and computing for a more sustainable planet. The conference includes a technical program, panels, workshops, and tutorials on these topics. On May 16, 2012, ICS Director Carla Gomes delivered an invited talk regarding computational sustainability at the National Academy of Engineering 2012 Regional Symposium, Toward a Sustainable Future, hosted by Cornell University and the College of Engineering in Ithaca, NY. The symposium brought together distinguished Cornell University faculty members to address the numerous elements of sustainability from the perspective of the physical sciences and engineering, environment, economics, business development, international implications and social sciences in order to spark discussion of our sustainable future among NAE members. ICS member Mary Lou Zeeman (Bowdoin College), highlighted computational sustainability-related work in her Math Association of America Invited Address at the Joint Mathematics Meetings (JMM) recently held in Boston, MA. JMM is the largest annual mathematics meeting in the world, attracting over 5,000 mathematical professionals. Zeeman's address, Mathematical challenges in climate and sustainability, described pressing research questions and interdisciplinary curriculum innovations while addressing questions such as: How are climate and sustainability applications shaping mathematics questions? What makes these research challenges different from other applications? How do we prepare students to work in these areas? Zeeman was also interviewed by JMM TV. Inside Science is featuring the efforts of ICS researchers and their partners at the U.S. Forest Service's Rocky Mountain Research Institute to improve wildlife corridor design. Wildlife corridors are areas of habitat connecting fragmented wildlife populations. These important conservation tools become particularly computationally difficult when used to address the needs of multiple species, a challenge the team is currently working to overcome. Team members Michael Scwatz (U.S. Forest Service), Carla Gomes (Cornell), and Claire Montgomery (Oregon State University) provided interviews for the article by Inside Science, an independent research news and information service on science, engineering, mathematics, and related fields intended for general audiences. 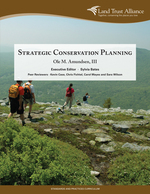 ICS team member and Program Manager of The Conservation Fund's Strategic Conservation Planning Program, Ole Amundsen, recently released the guide, . Published by the Land Trust Alliance, this guide provides readers with the process and tools to identify, prioritize, pursue and protect those specific tracts of land that will most effectively and efficiently achieve the reader's conservation mission. In November 2011, the Land Trust Alliance released the results of the national land trust census, which shows that land trusts with strategic conservation plans have protected twice as much land as land trusts that do not have plans. Land trusts are able to increase their pace of conservation through strategic conservation planning. In an effort to assist those suffering from the drought-induced food crisis affecting millions in the Horn of Africa, the first Index Based Livestock Insurance (IBLI) payouts have been made to 650 insured herders in the Marsabit District of northern Kenya. This innovative program was initially developed at Cornell University through collaborations between ICS team member and Cornell professor Chris Barrett, and PhD graduates Andrew Mude (now the International Livestock Research Institute's IBLI project leader) and Sommarat Chantarat (now an Australian National University research fellow). Payouts for the program are triggered when satellite images show that grazing lands in a region have deteriorated to the point that herders are expected to lose more than 15 percent of their herd. As Barrett notes, "We hope and expect that this [program] will help cushion them against the catastrophic outcomes of this devastating drought and accelerate their communities' recovery from a major disaster." ICS collaborator and MIT professors Brian Williams and Youssef Marzouk and postoc J. Zico Kolter have organized a new Seminar on Computational Methods for Sustainability at MIT. Taught during the Fall 2011 semester, the seminar will explore the role of computation in solving problems of sustainability, such as energy consumption, developing new chemical processes, and solving large-scale resource allocation problems. The organizers hope to bring together researchers from various backgrounds that can speak about the broad applications and crucial role of applying computational techniqes to sustainability problems. The 2011 International Congress on Industrial and Applied Mathematics (ICIAM) has profiled Cornell's Center for Applied Mathematics in a short film. The film highlights the exciting connections between applied mathematics and computational sustainability research, and includes brief interviews with ICS Director Carla Gomes and PhD student and ICS research team member Maarika Teose. HPCwire, a leading news and information site covering the entire ecosystem of High Performance Computing (HPC), and a Cornell University news release are both featuring ICS research. These publications discuss how ICS flight call research undertaken by Theodoros Damoulas is benefiting from a 12-times speedup in Dynamic Time Warping (DTW) computation by using a combination of built-in MATLAB GPU functions and CUDA code. DTW is the computationally expensive part of the code which uses machine learning and signal analysis techniques to automatically identify bird species from their flight calls. Automatic flight call classification is much faster and arguably more accurate than manual classification, and the first step in creating large scale networks of recording stations that can provide a detailed understanding of the migration patterns of individual species. 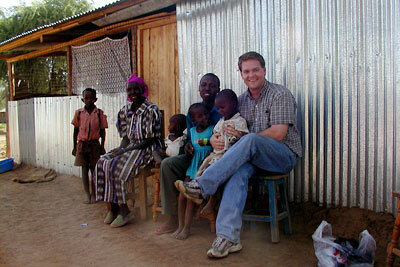 Through appearances on radio broadcasts in the United States and Canada, ICS member and Cornell University professor Chris Barrett has been helping the public understand the famine in the Horn of Africa, the challenges and consequences of famine intervention, and the prospects for improved interventions. On July 27, 2011 he spoke on National Public Radio's Talk of the Nation, and on August 24, 2011 he spoke on Canada Broadcasting Corporation Radio One's news show, The Current. Both broadcasts were recorded and are available online for listeners. ICS Director and Cornell University professor Carla Gomes has been selected as a 2011-2012 fellow by the Radcliffe Institute for Advanced Study at Harvard University. A leader among institutes for advanced study, the Radcliffe Institute accepted just 6 percent of its applicants for the 2011–2012 year. These 51 fellows are award-winning artists, academics, and professionals, including musicians, mathematicians, filmmakers, anthropologists, biologists, and writers who convene at the Radcliffe Institute for a full year to focus on individual projects and research while benefiting from a multidisciplinary community in the University setting. Fellows are selected based on prior accomplishments and the project they seek to undertake during their fellowship, as well as the potential of their projects to have long-term impact. Gomes will be devoting her fellowship year to computational sustainability research. The International Journal of Life Science Methods website, Biosciences.com, is featuring the work of Tamara Polajnar (University of Glasgow), ICS member Theo Damoulas (Cornell University), and Mark Girolami (University College London). 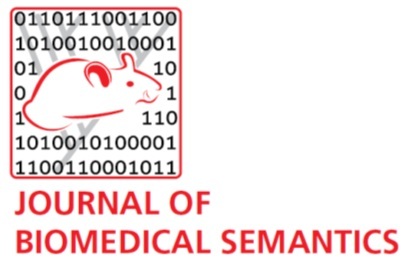 Their paper, “Protein interaction sentence detection using multiple semantic kernels,” was published online in the Journal of Biomedical Semantics, and demonstrates that combinations of semantic kernels can be valuable for classification of short texts such as protein-protein interaction (PPI) detection. Detection of sentences that describe PPIs in biomedical publications is a challenging and currently unresolved recognition problem. This work holds the potential to provide sets of targeted papers useful for scientists' studies in various research areas. 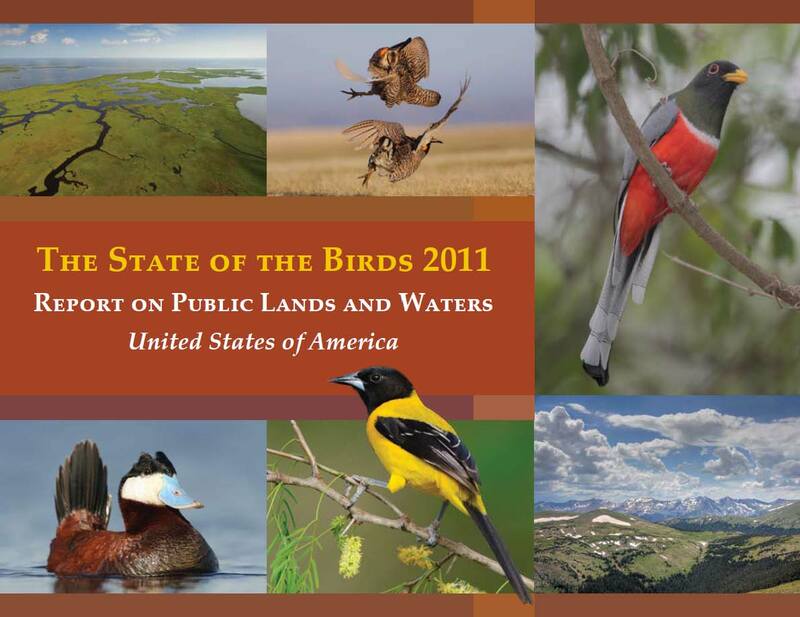 On May 3, 2011, U.S. Secretary of the Interior Ken Salazar and Agriculture Under Secretary for Natural Resources and Environment Harris Sherman released the 2011 State of the Birds Report, the nation's first assessment of birds on lands and waters owned by the American people. ICS members Ken Rosenberg, Daniel Fink, and Theodoros Damoulas assisted in preparation of the report. ICS members and Cornell Lab of Ornithology collaborators used high-performance computing techniques to produce the first systematic set of year-round species distributions and predictor effect estimates at the finest spatial resolution to date. The report concludes that U.S. public lands and waters offer important opportunities to halt or reverse the decline of many species. On April 16, 2011, ICS students organized workshops held as part of the Expanding Your Horizons (EYH) event held at Cornell University. EYH is a one-day conference for 7th-9th grade girls who participate in workshops organized by Cornell students and faculty. The goals of the event are to stimulate the participants' interest in math and science through these hands-on activities, to provide them with female scientist role models, and to foster awareness of opportunities in math and science-related careers. ICS students Bistra Dilkina, Katherine Lai, Eoin O'Mahony, Raghuram Ramanujan, and Maarika Teose organized and conducted workshops that introduced girls to simple programming concepts, the act of programming, Game Theory, Minimax search, and Nash Equilibria while applying these ideas to sustainability-themed topics. ICS researchers Daniel Fink, Theo Damoulas, and Steve Kelling, together with Andrew Dolgert and John Cobb, have been awarded a new TeraGrid Allocation Award and will serve as Principal Investigators in order to develop "Statistical Modeling of Avian Distributional Dynamics on the TeraGrid: Support for the Phenological Atlas of North American Birds." TeraGrid is the world's largest, most comprehensive distributed cyberinfrastructure for open scientific research. The team will receive over 3 million service units in order to advance data intensive ecology and improve understanding of continent-scale bird migrations. This is TeraGrid's largest allocation for an ecological application. 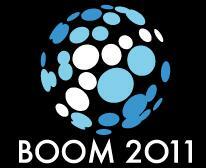 On March 9, 2011, Cornell's Faculty of Computing and Information Science presented BOOM, an annual showcase of Cornell student research and creativity in digital technology and applications. ICS student researchers Karan Kurani and Jason Marcell won the event's EMC Big Data Award for their project, Social Network Discovery of Computational Sustainability Community, which also involved research from Kiyan Ahmadizadeh, Bistra Dilkina, and Theo Damoulas. The project focused on the automatic discovery of the Computational Sustainability Community by mining hundreds of thousands of academic research publications. The team used a generative topic model to isolate those publications which pertain to computational sustainability and augment a seed set of publications initially provided by ICS Director Carla Gomes, who served as the project's advisor. ICS Director Carla Gomes served as an invited speaker at the Role of Information Sciences and Engineering in Sustainability (RISES) workshop sponsored by the NSF and the Computing Community Consortium. Her computational sustainability talk and is now available on YouTube. The workshop, held February 3 and 4 in Washington, D.C., aimed to identify new research opportunities in the information sciences and engineering that address sustainability objectives. ICS team member Antonio Bento served as a member of Cornell University's delegation to the 16th United Nations Climate Change Conference (COP 16) in Cancun, Mexico, which met November 29 through December 10, 2010. The United Nations Climate Change Conference is aimed at creating a new protocol for preventing global warming and climate changes. Antonio Bento, professor of Applied Economics and Management, presented a theoretical and computational model of a cap-and-trade model in the U.S. in which the government sets pollution caps and firms may purchase and trade carbon credits. He joined fellow Cornell faculty members Sean Sweeney and Johannes Lehmann, eight undergraduate students and ten graduate students, including ICS student researcher Ben Leard, in representing Cornell at the conference. The online liberal arts college news site, College News, is featuring an article about ICS Deputy Director and Bowdoin College professor Mary Lou Zeeman and her work modeling climate change through mathematical collaborations. Zeeman is seeking to address pressing sustainability challenges through her work with the ICS, her efforts to develop the Climate Math Web Portal, her organization of the 2010 national Math Awareness Month on Mathematics and Climate, her co-directing a Theme of the Year on Mathematicians and Climate at the National Center for Atmospheric Research, and her coordination of a worldwide program, Mathematics of Planet Earth 2013. Zeeman and other mathematicians in the Mathematics and Climate Research Network will also be working directly with climate scientists from leading laboratories to model climate processes, investigate dynamics of climate, and reconstruct and analyze historical climate data. The 25th Conference on Artificial Intelligence (AAAI-11) will feature a special track on Computational Sustainability and Artificial Intelligence (CompSustAI). The CompSustAI Special Track Cochairs are ICS Director Carla Gomes of Cornell University, and Brian Williams of the Massachusetts Institute of Technology. The conference will be held August 7-11, 2011 in San Francisco, CA, and will bring together Artificial Intelligence (AI) researchers, practitioners, scientists, and engineers in related disciplines. The CompSustAI special track recognizes that Artificial Intelligence can play a key role in addressing challenges in computational sustainability. The committee invites the submission of research papers on novel concepts, models, algorithms, and systems, in order to address problems in computational sustainability. Cornell alumnus David R. Atkinson ‘60 and his wife Patricia Atkinson have committed $80 million to fund a permanent, major research center (ACSF) focusing on challenges in the global energy, environmental and economic development arenas. To celebrate this transformative gift, Cornell President David J. Skorton sent a letter to all Cornell Trustees and Council members, institutions of higher education with sustainability programs, non-governmental organizations, all members of Congress, federal funding agencies, and state and community leaders. The letter highlights the ICS as an example of an ACSF-assisted success in advancing research and scholarly collaboration in sustainability, stating "The Institute for Computational Sustainability, funded by the National Science Foundation, is pioneering computational methods for balancing environmental, economic, and societal needs for a sustainable future (http://www.cis.cornell.edu/ics/). This team has founded a new field within computational science that is already being taken up by other universities and government agencies in the U.S. and Europe." 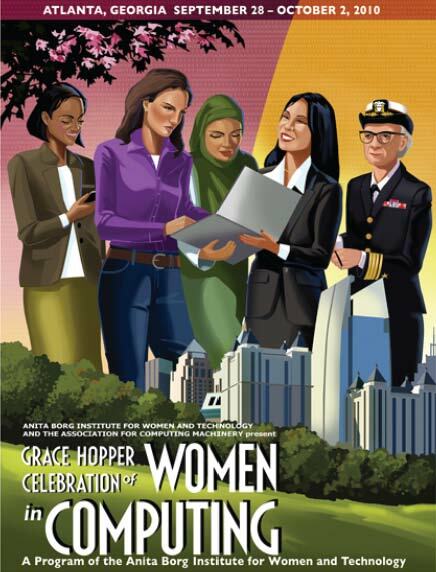 On October 1, 2010, ICS Director Carla Gomes presented an invited technical talk regarding computational sustainability at the 2010 Grace Hopper Celebration of Women in Computing (GHC), in Atlanta, Georgia. Gomes also presented the talk, "How do I become a leader in my field?," as part of the conference's career mentoring workshop. The world’s largest gathering of women in computing, the GHC is a five-day technical conference designed to bring together the research and career interests of women in computing and highlight their accomplishments across industry, academia and government. Through her talks and participation in the GHC, Gomes built awareness among women computer scientists of the new computational sustainability research area and drew attention to the important roles women are playing in computational sustainability research. The ICS hopes to encourage more women to participate both in science learning and in careers in science through its research, outreach, and educational activities. Cornell faculty member and ICS member Natalie Mahowald has been tapped to be a lead author on the next Intergovernmental Panel on Climate Change (IPCC) Assessment Report. Established by the United Nations Environment Programme and the World Meteorological Organization, the IPCC is charged with providing the world with a clear scientific view on the current state of climate change and its potential environmental and socio-economic consequences. Mahowald will lead Chapter 1 of Working Group I, which will cover the physical science basis for Assessment Report 5. The IPCC's first four Assessment Reports are at the core of today's scientific and policy debates regarding climate change. A new sustainability science distributed graduate seminar is being developed under an award made by the National Center for Ecological Analysis and Synthesis (NCEAS). Principal investigators Jeannine Cavender-Bares and Stephen Polasky of the University of Minnesota are working with colleagues from Arizona State University, Universidad Nacional Aut&oacute;noma de M&eacute;xico ,Florida International University, Harvard University, Princeton University, and Cornell University to develop curricula and model systems for advancement of theory and tools for sustainable management. Distributed learning provides a training model in which resources and instruction are independent of time and place. The seminar is being held during the fall 2010 and fall 2011 semesters. 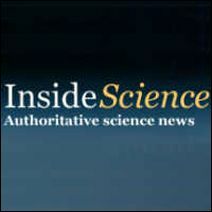 The US News and World Report is featuring a new video, which highlights the work of two Expedition in Computing awards - that of the Institute for Computational Sustainability (led by Carla Gomes) and of a team at Harvard University - as an "Innovations and Discoveries" video in the science section of its website (see "What's Next for Computers" at http://www.usnews.com/science/videos#ooid=,h5NWdvMTqvMM4jBlpg789x0mgtd0C54w). The video was developed by the NSF to highlight successful Expeditions in Computing awards as it announces this year's new awards. The video is also featured on the NSF's Science 360 News Service. Institute for Computational Sustainability researcher Theo Damoulas will be serving as a co-PI on a TeraGrid award, Modeling bird distributions and abundance for 2011 "State of the Bird" report. Damoulas joins PI John Cobb of the Oak Ridge National Laboratory (ORNL) as well as researchers at the Cornell Lab of Ornithology, DataONE, the University of New Mexico, and ORNL to explore the dynamic patterns of bird species occurrence across broad spatial and temporal scales. 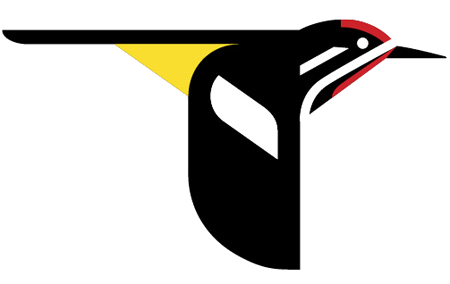 This computational effort seeks to develop a new TeraGrid user community, large scale data intensive ecological analysis and modeling, while analyzing data in order to help ornithologists make ecological sense of millions of records of bird sightings. This work is also featured in Nature (http://www.nature.com/news/2010/100810/full/news.2010.395.html). Barry O'Sullivan, a professor in the Department of Computer Science at the University College Cork and a member of the Cork Constraint Computation Centre, is proposing a European effort to create a broad-based research program in the area of computational sustainability. This program would integrate "islands" of research across Europe into more strategically aligned initiatives through proposal of an FET Flagship on Computational Sustainability. This effort also seeks to address key European sustainable development issues through computational and mathematical advances, and to foster a European-centered scientific community in the area of computational sustainability. FET is the European Commission's Information and Communication Technologies incubator and pathfinder for new ideas and themes for long-term research in the area of information and communication technologies. Its mission is to promote high risk research, offset by potential breakthrough with high technological or societal impacts. ICS members are enthusiastically supporting this effort. ICS Director Carla Gomes to deliver invited talk at AAAI-10. Carla Gomes will present an invited talk, Challenges for AI in Computational Sustainability, at the Twenty-Fourth AAAI Conference on Artificial Intelligence (AAAI-10) in Atlanta, Georgia. 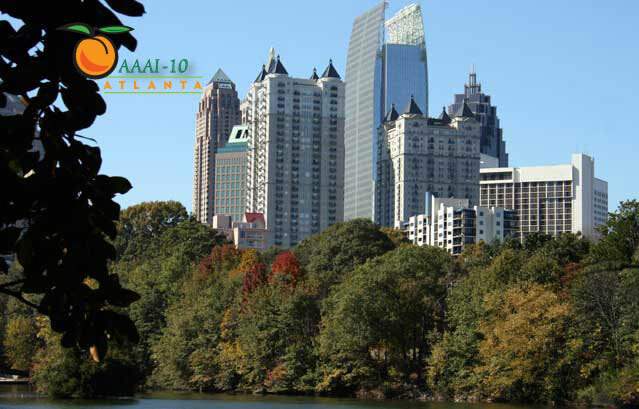 AAAI-10 aims to promote research in AI and scientific exchange among AI researchers, practitioners, scientists, and engineers in related disciplines. 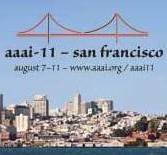 Organized by the Association for the Advancement of Artificial Intelligence (AAAI), the conference will be held July 11-15, 2010. ICS Director Carla Gomes to give invited talk at CPAIOR 2010. ICS Director Carla Gomes will present an invited talk about computational sustainability at CPAIOR 2010, the seventh International Conference on Integration of Artificial Intelligence (AI) and Operations Research (OR) techniques in Constraint Programming. The conference will be held in Bologna, Italy, June 14-18, 2010. The aim of the conference is to bring together researchers from constraint programming (CP), artificial intelligence (AI) and operations research (OR) to present new techniques or new applications in combinatorial optimization and to provide an opportunity for researchers in one area to learn about techniques in the others in order to provide an opportunity to show how the integration of techniques from different fields can lead to interesting results on large and complex problems. ICS member and Professor of Applied Mathematics at Cornell University, Steve Strogatz, serves as a regular contributor to the New York Times blog, The Opinionator. 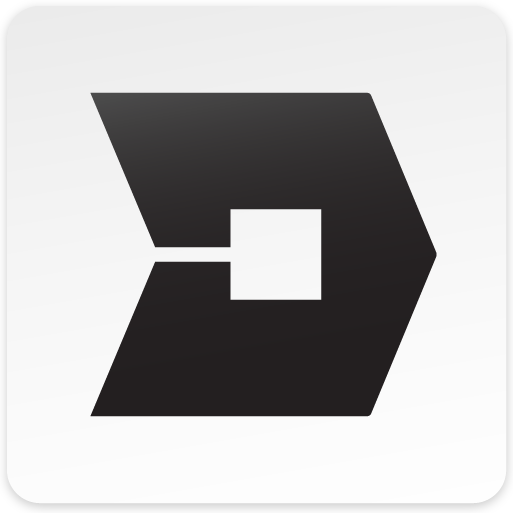 The Opinionator blog seeks to guide readers through the world of newspaper, magazine, and Web opinion. Beginning on January 31, 2010, Strogatz contributes an entry every Monday in a series which takes readers from the basics of math to the baffling. Computational Sustainability article by ICS Director Carla Gomes appears in current edition of the NAE's publication, The Bridge. The Winter 2009 edition of the National Academy of Engineering's publication, The Bridge, features the article "Computational Sustainability: Computational Methods for a Sustainable Environment, Economy and Society" authored by ICS Director Carla Gomes. The Bridge presents thoughtful opinion and analysis on engineering research, education, and practice; science and technology policy; and the roles of engineering and technology in all aspects of society. The intent is to stimulate debate and dialogue within the NAE membership and the broader outside community of policymakers, educators, business leaders and other interested citizens. 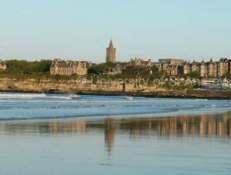 The Institute for Computational Sustainability is a proud co-sponsor of the 16th International Conference on Principles and Practices of Constraint Programming (CP 2010), which will be held in St Andrews, Scotland between the 6th and 10th of September 2010. The International Conference on Principles and Practice of Constraint Programming is the annual conference on all aspects of computing with constraints, including: theory, algorithms, applications, environments, languages, models and systems. ICS member Mary Lou Zeeman to co-direct IMAGe 2010 Theme-of-the-Year on Mathematicians and Climate. 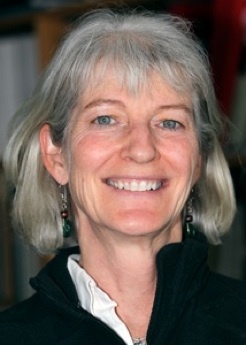 ICS team member Mary Lou Zeeman has been selected to serve as a visiting co-director of the National Center for Atmospheric Research (NCAR) Institute for Mathematics Applied to Geosciences (IMAGe) 2010 Theme-of-the-Year on Mathematicians and Climate. The Theme-of-the-Year (TOY) is a year-long focus on some aspect of applied mathematics and the geosciences, designed to advance research and education between the mathematical and the geoscience communities. This TOY is in partnership with the Mathematical Sciences Research Institute (MSRI), with the primary activities being two workshops (Mathematics of Interacting Climate Processes and Data Assimilation and Climate Research) and capped by a Mathematics of Climate Change Graduate Summer School. ICS research using cloud computing presented at the Yahoo! Open Cirrus Summit. On January 28 and 29, 2010, Yahoo! hosted the second Open Cirrus Summit, attended by cloud computing thought leaders from around the world. Computer scientists from leading technology corporations, world-class universities, and public sector organizations gathered in Sunnyvale, CA to discuss the future of computer science research in the cloud. ICS team member Bart Selman presented computational sustainability research that he and fellow ICS team members at Cornell University, Carla Gomes and Ashish Sabharwal, have been pursuing through the use of the Yahoo! M45 cluster. ICS co-sponsors sustainability-themed sessions at the 2010 Joint Mathematics Meetings. On April 10, 2010, ICS team member Mary Lou Zeeman will speak on "Mathematical Challenges in Climate Change" at the New Jersey Math Association of America section meeting. The event will be held at Middlesex County College in Edison, NJ. ICS team member Antonio Bento will attend the 15th United Nations Climate Change Conference (COP15) in Copenhagen, Denmark starting December 7 as a member of Cornell University's delegation. The United Nations Climate Change Conference is aimed at creating a new protocol for preventing global warming and climate changes. On December 12, Antonio Bento, professor of Applied Economics and Management, will join with John Fray and Sam Bell in presenting on a conservation agriculture initiative in Zambia and technical challenges and emerging solutions for developing methodologies that use an integrated approach to landscape-level carbon accounting. ICS team member John Hopcroft and co-recipient Jeffrey Ullman will be awarded the 2010 IEEE John von Neumann Medal. The IEEE John von Neumann Medal was established by the Board of Directors in 1990 and may be presented annually for outstanding achievements in computer-related science and technology. The IEEE Medals Council of the IEEE Awards Board will present the 2010 IEEE John von Newmann Medal to John Hopcroft, IBM Professor of Engineering and Applied Mathematics at Cornell University, and Jeffrey Ullman, Professor Emeritus of Computer Science at Stanford University, for laying the foundations for the fields of automata and language theory and many seminal contributions to theoretical computer science. Thomas Dietterich, Deputy Director of the ICS, will join fellow organizers J. Zico Kolter and Andrew Ng in presenting a symposium titled "Machine Learning for Sustainability" on December 10th, 2009 at the Twenty-Third Annual Conference on Neural Information Processing Systems (NIPS) in Vancouver, Canada. The mini-symposium will bring together leading researchers with both machine learning backgrounds and energy/sustainability backgrounds to address questions such as how machine learning can help address the world's sustainability problems. Researchers at RIT and ASU will create curricula and coursework in sustainability ethics for science and engineering graduate students. Courses developed through the project which is funded by the US NSF will create a collaborative classroom setting that draws on science and engineering students&quot; predilection for experimental learning and teamwork to explore ethical approaches to problems in sustainability using a game-based, deliberative, and participatory setting. On October 16, 2009 ICS postdoctoral fellow Theodoros (Theo) Damoulas will present an overview of Computational Sustainability to the University of Glasgow's Department of Computing Science. He will introduce and discuss some of the unique computational problems and characteristics that motivate this novel direction, the relationship with existing computing fields and the potential impact on ecology, society and economy. On September 21, 2009 ICS Director Carla Gomes delivered an invited talk "Challenges for Constraint Reasoning and Optimization in Computational Sustainability" at the 15th International Conference on Principles and Practice of Constraint Programming (CP 2009) in Lisbon, Portugal. The International Conference on Principles and Practice of Constraint Programming is the annual conference on all aspects of computing with constraints, including: theory, algorithms, applications, environments, languages, models and systems. On September 10, 2009 ICS Director Carla Gomes delivered the invited talk "Computational Sustainability: Computational Methods for a Sustainable Environment, Economy, and Society" at the 2009 NAE U.S. Frontiers of Engineering Sympsium in Irvine, CA. The U.S. Frontiers of Engineering is an annual three-day meeting that brings together 100 of the nation's outstanding young engineers from industry, academia, and government to discuss pioneering technical and leading-edge research in various engineering fields and industry sectors. Participation is by invitation following a competitive nomination and selection process. The program provides an opportunity for top-notch engineers, early in their careers, to learn about cutting-edge developments in fields other than their own, thereby facilitating collaborative work and the transfer of new approaches and techniques across fields. Through both formal sessions and informal discussions, the meetings have proven an effective mechanism for the establishment of cross-disciplinary and cross-sector contacts among this country's future engineering leaders. Communications of the ACM, the leading print and online publication for the computing and information technologyfields, reports on the 1st International Conference on Computational Sustainability. 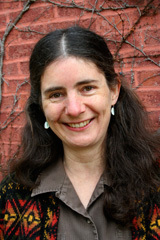 Reporter Karen Frankel notes that the conference enabled conservationists and environmental scientists to expand their knowledge of computational techniques applicable to the problems they want to solve, while raising awareness among computer scientists and mathematicians regarding the the way ecological problems often translate into interesting computational problems. Throughout the conference, environmental scientists encouraged computer scientists to collaborate with them, and steps were taken to achieve the goal of establishing and developing a research community around the field of computational sustainability. Inside Higher Ed interviews ICS team member Steven Strogatz regarding his new book, "The Calculus of Frienship," released by Princeton University Press. For 30 years, starting in the spring of 1977, Steven Strogatz maintained an occasional correspondence with his high school calculus teacher, Don Joffray. 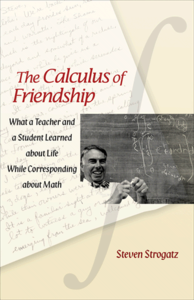 During that time, both Strogatz and Joffray experienced great changes in their lives -- from professional successes to family tragedies -- yet their letters focused almost entirely on mathematics, rarely mentioning personal matters at all. In his book, Strogatz shares many of the letters he exchanged with his old teacher, and explains what led him finally to try to learn more about the man he&quot;d hardly known for so many years. ICS team member Chris Barrett will lead the new NSF-sponsored Food Systems and Poverty Reduction Integrative Graduate Education and Research Training (IGERT) program, administered through the Cornell International Institute for Food, Agriculture and Development. Open to U.S. citizens and permanent residents, the program is scheduled to begin in August 2010 with more than 20 graduate fields participating. The program will train a cadre of graduate students to use interdisciplinary approaches to tackle food systems and agricultural problems that contribute to extreme poverty. 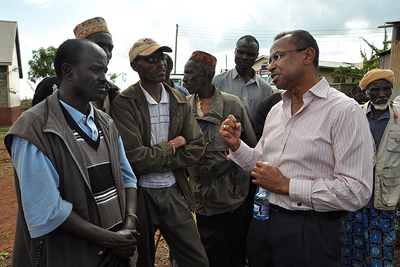 The curriculum will include a seminar series; field research in Kenya and Ethiopia to study both highland and dryland agricultural systems in collaboration with partners at Bahir Dar University in Ethiopia and the International Livestock Research Institute; and a three-semester core course sequence that takes interdisciplinary approaches to addressing such problems as water shortages, climate change and vulnerability to food systems, soil degradation, pests and diseases, and food supply chains. The NSF IGERT grant is funded through federal stimulus money from the American Recovery and Reinvestment Act, intended to spur economic development by expanding educational opportunities, among other things. ICS team member Natalie Mahowald brings scientific perspective to discussion of "The Grapes of Wrath"
ICS team member and associate professor of earth and atmospheric sciences, Natalie Mahowald, joined professors of English, labor history, and management in a faculty panel and question- and-answer session with 3,500 incoming Cornell University freshmen and new transfer students. The event provided new students an opportunity to discuss their summer reading assignment, John Steinbeck's "The Grapes of Wrath." The book was chosen in the spring for Cornell's ninth annual New Student Reading Project, as "an extraordinarily rich account of major economic and social upheaval during a pivotal era in American history," Michele Moody-Adams, then-Cornell vice provost for undergraduate education, said about the selection. 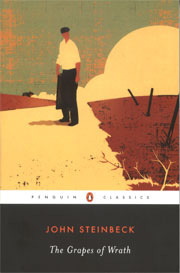 Mahowald brought a scientific perspective to the dust storms and flooding described in Steinbeck's work, relating it to current environmental concerns. ICS team member and Cornell associate professor of earth and atmospheric sciences, Natalie Mahowald, presented the talk, "Mineral Aerosol Interactions with Climate and Biogeochemistry on August 20, 2009 as part of the Laboratory for Atmospheres Monthly Lecture Series at NASA's Goddard Space Flight Center. The main emphasis of the Laboratory for Atmospheres series is on an integrated approach to atmospheric hydrological processes and climate change focusing on precipitation, clouds, aerosol and their physical/chemical linkages. Mahowald's lecture discussed research results with fully coupled carbon cycle models including mineral aerosol perturbation within the CCSM3, and how dust perturbation impacts future climate and biogeochemistry. 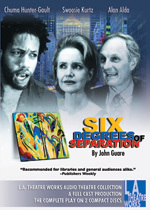 An interview with ICS team member Steven Strogatz appears in the radio production of "Six Degrees of Separation" by John Guare, staring Alan Alda, Swoosie Kurtz, and Chuma Hunter-Gault. Steven Strogatz, Professor of Applied Mathematics at Cornell University, co-authored a groundbreaking paper in the journal "Nature" on what we popularly call the "Six Degrees" theory. This production is part of LA Theatre Works' radio theater series, and may be heard on a number of local radio stations across the country and online as streaming video. A full interview with Steven Strogatz is available as an online "web extra." BBC Radio 4: How clever will robots become? Killer robots have once again gone on the rampage in central London, causing widespread damage and loss of life. Electronic engineering experts Bart Selman, of Cornell University and the Institute for Computational Sustainability, and Alan Winfeld, of the University of the West of England, discuss the fear from experts that one day in the not-so-distant future, this headline could become a reality. Inside Higher Ed featured an article titled Schools of Sustainability, Colleges of the Environment, exploring how sustainability related efforts are growing at a very fast pace amongly institutes of higher education throughout the U.S.
Thomas Dietterich, Deputy Director of ICS and professor at Oregon State University, gave an invited talk at the IJCAI-09 Conference in Pasadena, CA, titled Machine Learning in Ecosystem Informatics and Sustainability. Eighty-eight of the nation's brightest young engineers, including ICS Director Carla Gomes, have been selected to take part in the National Academy of Engineering's (NAE) 15th annual U.S. Frontiers of Engineering symposium. Engineers ages 30 to 45 who are performing exceptional engineering research and technical work in a variety of disciplines will come together for the 2-1/2-day event. The participants -- from industry, academia, and government -- were nominated by fellow engineers or organizations and chosen from approximately 240 applicants. The symposium will be held September 10-12 at the National Academies' Beckman Center at the University of California, Irvine, and will examine engineering tools for scientific discovery; engineering the health care delivery system; nano/micro photonics and new applications; and resilient and sustainable infrastructures. Science and technology journalist Karen Frankel reports for Communications of the ACM on the opening day of the 1st International Conference on Computational Sustainability. Ms. Frankel interviews Carla Gomes, the Director of the Institute for Computational Sustainability, who describes the goals of the conference. Over 200 researchers from universities, private laboratories and government agencies will converge on Cornell June 8-11, 2009 for the first conference on computational sustainability -- how to use computing to balance environmental, economic and societal needs for a sustainable future. Hosted by the Institute for Computational Sustainability, the conference will bring biologists, conservation workers, economists and others together with computer scientists to share goals and methods. On May 27, 2009, ICS team member and Cornell professor Antonio Bento presented the seminar, "The Effects of Increased U.S. Renewable Fuel Standard to experts at the U.S. Environmental Protection Agency's (EPA) National Center for Environmental Economics. sThe EPA's National Center for Environmental Economics (NCEE) offers a centralized source of technical expertise to the Agency, as well as other federal agencies, Congress, universities, and other organizations. NCEE's staff specializes in analyzing the economic and health impacts of environmental regulations and policies, and assists the EPA by informing important policy decisions with sound economics and other sciences. NCEE also contributes to and manages EPA's research on environmental economics to improve the methods and data available for policy analysis. Cornell's Institute for the Social Sciences kicked off its new theme project, "Persistent Poverty and Upward Mobility," whose team will be led by ICS member Chris Barrett. The project brings together professors with expertise ranging from government and nutritional sciences to labor economics and city and regional planning. The researchers hypothesize that the prevalence, depth and persistence of poverty varies radically among groups that differ based on region, education, health, family status, race, ethnicity and gender. They believe that poverty and mobility experiences among different groups are analytically linked. In 2009-10, the Persistent Poverty team will launch individual and collaborative research and conduct weekly seminars, public lectures, conferences and workshops, and offer the course Comparative Perspectives in Poverty Reduction Policy. The goal is to integrate theory, empirical measurement, causal inference and policy analysis around these issues, cutting across a variety of regions around the globe. ICS team members and Cornell faculty members John Guckenheimer, John Hopcroft, and Steve Strogatz have been named to the inaugural class of fellows of the Society for Industrial and Applied Mathematics (SIAM). The fellows program honors SIAM members recognized by their peers as distinguished contributors to the fields of applied mathematics and computational science. John Guckenheimer, professor of mathematics, was cited for contributions to theoretical and computational dynamical systems and mathematical neuroscience. 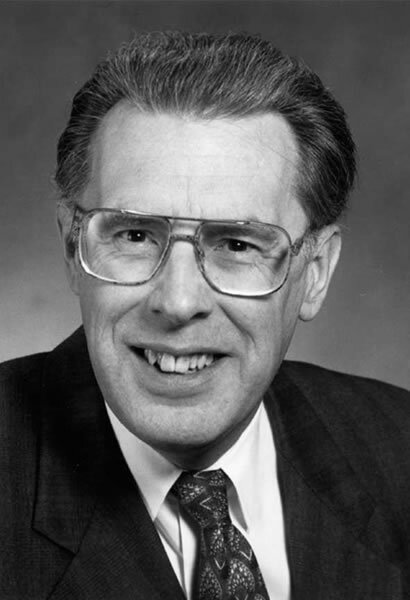 John E. Hopcroft, the IBM Professor of Engineering and Applied Mathematics in the Department of Computer Science, was cited for advances in the design and analysis of algorithms. Steve Strogatz, the Jacob Gould Schurman Professor of Applied Mathematics, was cited for investigations of small-world networks and coupled oscillators and for outstanding science communication. On April 28, 2009 the National Academy of Sciences elected ICS team member and Cornell faculty member John Hopcroft as one of its 72 new members. The National Academy of Sciences is a private organization of scientists and engineers dedicated to the furtherance of science and its use for the general welfare. It was established in 1863 by a congressional act of incorporation signed by Abraham Lincoln that calls on the Academy to act as an official adviser to the federal government, upon request, in any matter of science or technology. Yahoo! announced it will partner with four universities (Cornell, UC-Berkeley, UMASS-Amherst, and Carnegie Mellon) to advance cloud computing research. These universities will receive access to the Yahoo! cloud computing cluster, also known as M45, which has approximately 4,000 processor-cores and 1.5 petabytes of disks. Previously, academic researchers have had limited access to Internet-scale supercomputers for conducting systems and applications research. At Cornell, the cloud computing facility will be used for a project undertaken by members of the Institute for Computational Sustainability titled "A Computational Platform Supporting Research on Computational Sustainability. 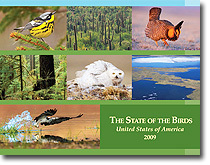 On March 19, 2009, U.S. Secretary of the Interior Ken Salazar released the first ever comprehensive report on bird populations in the United States, showing that nearly a third of the nation's 800 bird species are endangered, threatened or in significant decline due to habitat loss, invasive species, and other threats. The report also highlights examples, including many species of waterfowl, where habitat restoration and conservation have reversed previous declines, offering hope that it is not too late to take action to save declining populations. ICS member Kenneth Rosenberg served as a member of the project's science team. The website, video, and printed report were produced for the partnership by the Cornell Lab of Ornithology. On March 17, 2009, the Association for Computing Machinery (ACM) announced that ICS team member John Hopcroft is the 2008 winner of the Karl V. Karlstom Outstanding Educator Award for his vision and impact on computer science as a prolific author of field-defining texts on theory and algorithms. Hopcroft, professor of Engineering and Applied Mathematics at Cornell University, also advised Ph.D. students who are now contributing greatly to the field. He has also been recognized for influential leadership in computer science research and education at the national and international level. 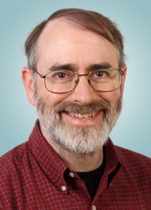 The Karlstrom Award recognizes educators who advanced new teaching methodologies; effected new curriculum development in Computer Science and Engineering; or contributed to ACM's educational mission. ICS team member John Guckenheimer and Julio Ottino, co-chaired the Society for Industrial and Applied Mathematics' (SIAM) September 2008 workshop, Foundations for Complex Systems Research in the Physical Sciences and Engineering. 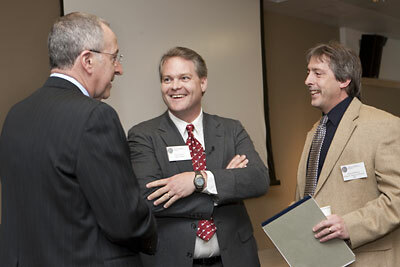 This workshop led to a report on research challenges and opportunities in this area, which is now publicly available. 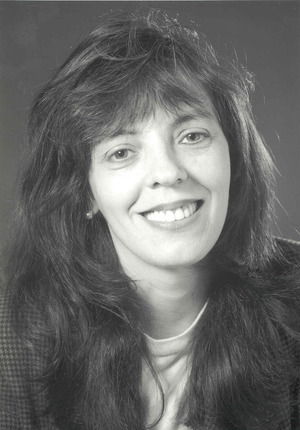 ICS member Mary Lou Zeeman is serving as an organizer of Math Awareness Month 2009, sponsored by the American Mathematical Society, the American Statistical Association, the Mathematical Association of America, and the Society for Industrial and Applied Mathematics. 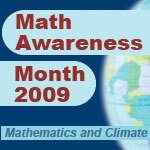 The theme of this year's Math Awareness Month is "Mathematics and Climate." The selection of this theme highlights that calculus, differential equations, numerical analysis, probability, and statistics are just some of the areas of mathematics used to understand the oceans, atmosphere, and polar ice caps, and the complex interactions among these vast systems. Mathematics Awareness Month is held each year in April, with the goal of increasing public understanding of and appreciation for mathematics. Each year a national theme is selected and theme materials are developed and distributed. Activities for Mathematics Awareness Month are generally organized by college and university departments, institutional public information offices, student groups, and related associations and interest groups. They have included a wide variety of workshops, competitions, exhibits, festivals, lectures, and symposia. This year Cornell will host a Mathematics and Climate Change panel event on Cornell's Ithaca, NY campus on April 8, 2009 featuring Mary Lou Zeeman as well as experts from the University of Vermont, Cornell University, and Ithaca College. On November 21, 2008 the Institute for Computational Sustainability held a kick-off meeting on the Ithaca, NY campus of Cornell University for its NSF Expeditions in Computing grant. The meeting brought together approximately 60 participants and served as a key forum for bringing together researchers from various institutions and organizations participating in the Expedition (Bowdoin College, Howard University, Oregon State University, and the Conservation Fund). The meeting provided an opportunity to exchange ideas, discuss potential collaborations, and present brief overviews of challenge problems in sustainability and promising computational techniques to solve them. Short talks at this day-long meeting included topics such as: fire management, nonlinear dynamics, bird conservation, machine learning, biofuels, fishery management, dynamical systems, African pastoral systems, optimization, dynamical systems of exploited fish populations, ecological dynamical models, uncertainty in natural systems, air quality monitoring, and strategic conservation planning. Following break-out sessions and working group dinner meetings, the ICS Executive Committee met to discuss research and other activities the ICS will pursue. 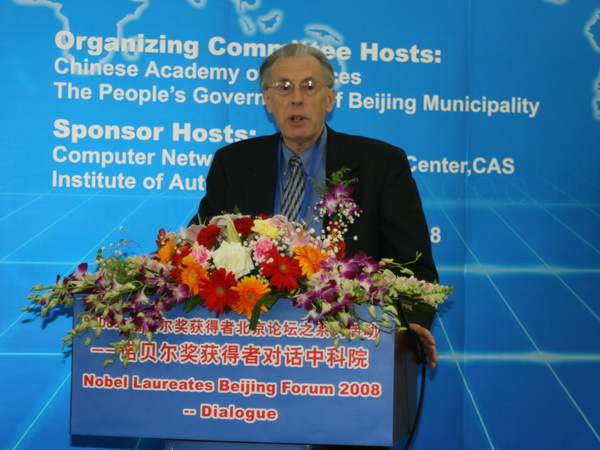 On November 13, 2008, ICS team member and Cornell professor John Hopcroft presented an invited talk, "Research Directions Supporting the Information Age" to attendees at the Nobel Laureates Beijing Forum 2008. The event, held in Beijing, China, is part of the series "Dialogue between Nobel winners and the Chinese Academy of Sciences (CAS)." Seed Magazine's Seed Salon pairs experts to hold discussions with one another regarding science and culture. Its November 2008 video interview paired ICS team member and mathematician Steven Strogatz with architect and designer Carlo Ratti. 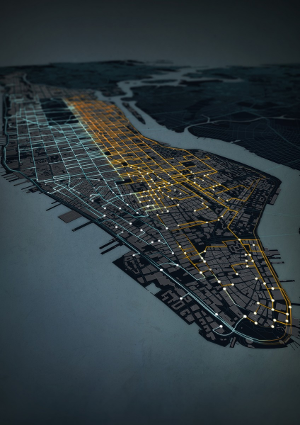 The two consider whether there are laws that govern urban behavior, how feedback loops behave in dynamic systems, and how they might shape the cities of the future. ICS team member Steve Strogatz has created a 24 lecture series on DVD covering the science and math behind chaos theory. 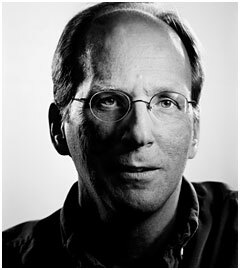 Strogatz, the Jacob Gould Schurman Professor of Applied Mathematics at Cornell, and the Teaching Company, a company that offers courses taught by top-rated university faculty from around the country, collaborated to create the DVD series which is available through the Teaching Company's website. The course -- which includes more than two hours of animation, multiple in-studio demonstrations, more than 150 photos, diagrams and video clips -- is an introduction to the discoveries of Poincar&eacute; and Lorenz; the significance of fractals, iterated maps and Mandelbrot sets; and to the way chaos theory has influenced the evolution of modern mathematics and physics. It covers applications of chaos theory as they appear in medicine, philosophy, religion, pop culture and art. The Cornell Chronicle reports on the National Science Foundation's (NSF) $10 million grant award to launch the Institute for Computational Sustainability, which will be based at Cornell. The grant is part of an NSF program designed to pursue "far-reaching research agendas that promise significant advances in the computing frontier and great benefit to society." The Institute will be directed by Carla Gomes, Cornell professor of Computing and Information Science, and will involve a number of Cornell faculty members and students along with scientists at Oregon State University, Howard University, Bowdoin College, the Department of Energy's Pacific Northwest National Laboratory and the Conservation Fund. The Institute's vision is that computing and information science can -- and should -- play a key role in increasing the efficiency and effectiveness of the way we manage and allocate our natural resources. Drop us an email if you'd like to join us in establishing the field of Computational Sustainability.